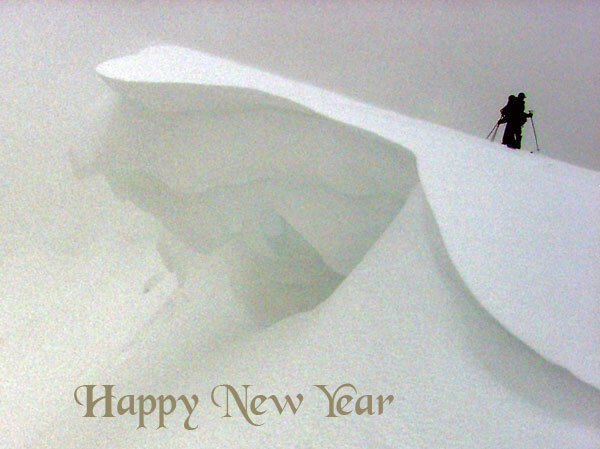 Started at the lower Solitude parking climbing into Willow and the top of West Monitor bowl. Skied the southwest facing hourglass, traversing to catch the same up track. Skied the left side of West Monitor bowl to the flats ascending the southeast facing. Skied the northwest facing Short and Sweet (McDonalds) to the flats ascending to the west and following the ridge to Dutches. Skied Owen's Line, east corner of Dutches to the flats, ascending and descending Beartrap. Windy with snow showers most of the day. Mild temperatures, cooling slightly in the afternoon. I found a few inches of new snow, quite dense over the few inches from yesterday. While there are variations within the new snow layering, it is for the most part well bonded. Winds were a factor. 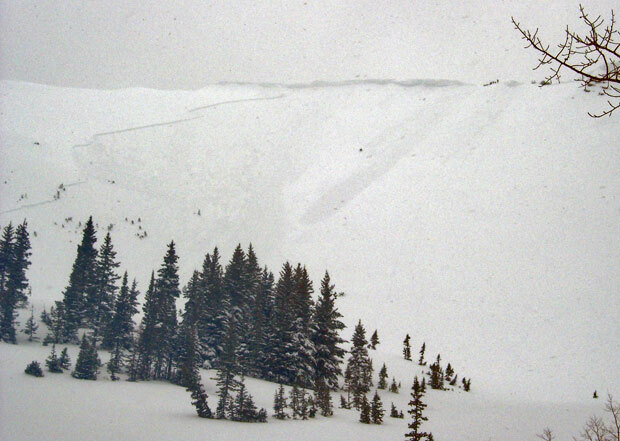 Cornice kicking resulted in an avalanche in West Monitor bowl. The size of the cornice would be estimated as a Ford Expedition. The size of the avalanche would be estimated at about 100 feet wide, with a crown of up to around 20 inches. Probably running on the old surface on the 28 th, removing all snow since that warm day. The slide was on the skier's right side, taking out a lower section further right and also extending into the middle of the bowl. There were a couple of smaller slides from Canyons control work in the Short Swing drainage running within the most recent snow only. Snow is a mixed bag with some old and stubborn drifting combined with some, recent and active as hell. Would expect this pattern to continue as the wind blows and it continues to snow. Have not seen indications of deeper instabilities, with no collapsing and cracking only in the newer snow layers.